Sakuga episode is a simple industry term to refer to those special outings where, rather than peaking in isolated scenes, the production values as a whole go far and beyond the norm. These may happen within already polished shows or as an exception in messier projects, and while uncommon, there’s no rule to dictate that there can only be one such episode per show. 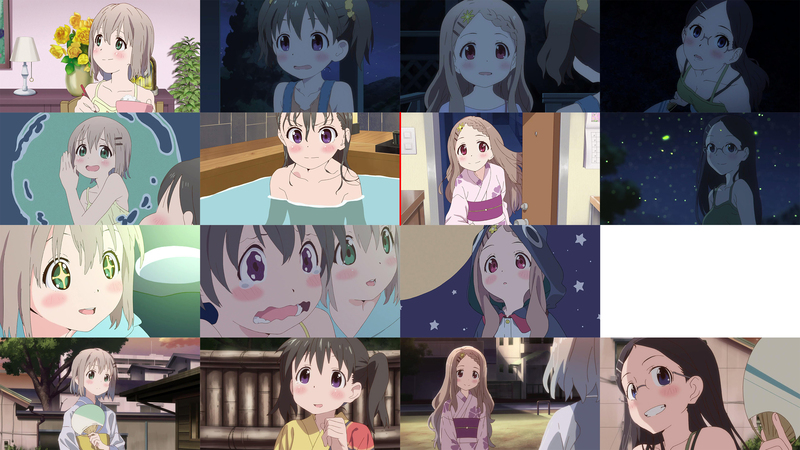 Long running series like Naruto, Bleach and the Precure series have been able to achieve that feat multiple times within the same year when circumstances allowed for it, while Yama no Susume‘s second season accomplished it in a span of mere weeks. Episodes like these don’t spawn out of nowhere, of course. A quick glance at the credits will more often than not lead to the revelation that they’re spearheaded by particularly gifted individuals, who in turn are assisted by a melting pot of old veterans and outstanding newcomers. Certain individuals are notorious for their ability to gather talent, acting as sakuga shepherds of sorts; Hiroshi “ahoboy” Ikehata, for example, provided modest productions such as Hayate no Gotoku! 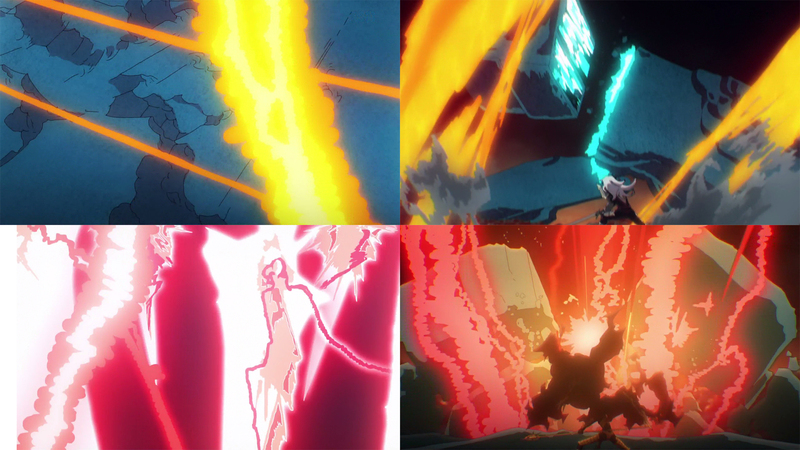 and Zettai Karen Children with some of the most visually dynamic episodes of their respective years. With all that in mind, it’s worth mentioning that Apocrypha #22’s merits extend beyond the immediate, thunderous response it’s received ever since it aired. Of course it’s neat to see fans and industry members come together to share their amazement, with the likes of Shingo Yamashita exclaiming his awe over being able to see work of this caliber in a TV episode. 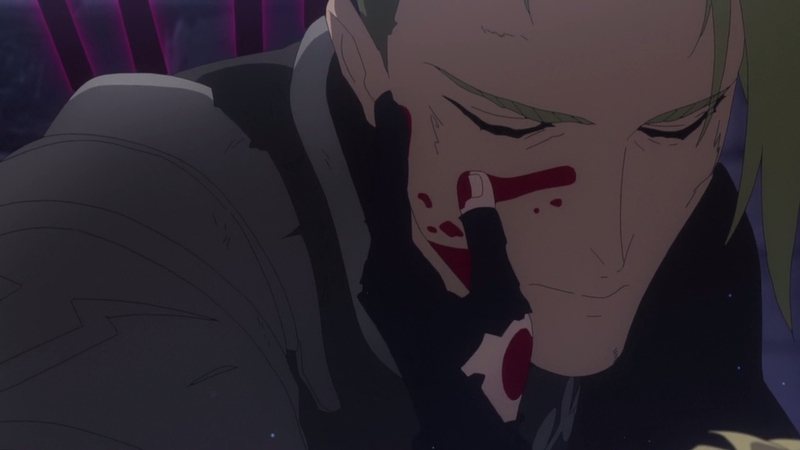 As it turns out though, the episode ended up becoming a fairly significant milestone for the anime production and those involved at large – a point we’ll come back to later. It’s those consequences that make it truly special happened, but before any of that, expectations were already on the rise as its broadcast drew closer, spurned by industry whispers and more public events like Nakaya Onsen‘s movie style poster to promote it. Something big was coming, as it became apparent when the staff gathered, making no effort to hide that they were all waiting for the time to come with bated breath. And pizza! Because there ain’t no party like a sakuga pizza party. There’s little sense in making these claims without contextualising them, so let’s shift our attention towards the work itself and the individuals responsible, starting with the unquestionable catalyst of it all: Hakuyu Go. I won’t go into too much detail here as we do have a post dedicated to him in the works, but the reputation he’s already built for himself despite still being a newcomer – he first worked in anime in late 2013, at age 21 – is something you must keep in mind to understand how he manages to attract talent on this scale. While his own skill was no doubt a factor in that, it’s the connections he then built that have propelled him into his current position. 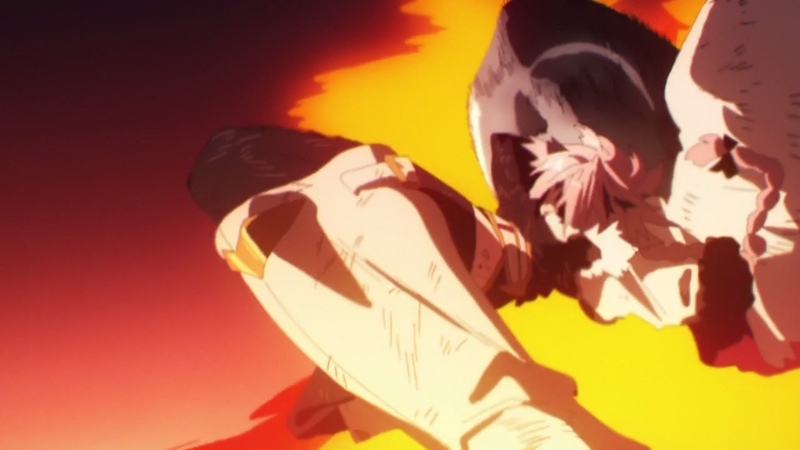 He’s surrounded himself with not only the rising stars of the industry, but established veterans as well, and made it a point to prove this when he brought them along to help turn My Hero Academia #12’s clash between All Might and Noumu, which he storyboarded and directed, into a fight that the viewers would never forget. And that was his debut handling part of an episode, the single precedent before he had control over this one! You could make the argument that it’s all coincidence, but it becomes a pretty feeble one when comparing credits tells us that the overwhelming majority of those who helped him on that episode also turned up here, and even more so when others more or less confirm that his net of acquaintances is the real deal. What about the episode, then? 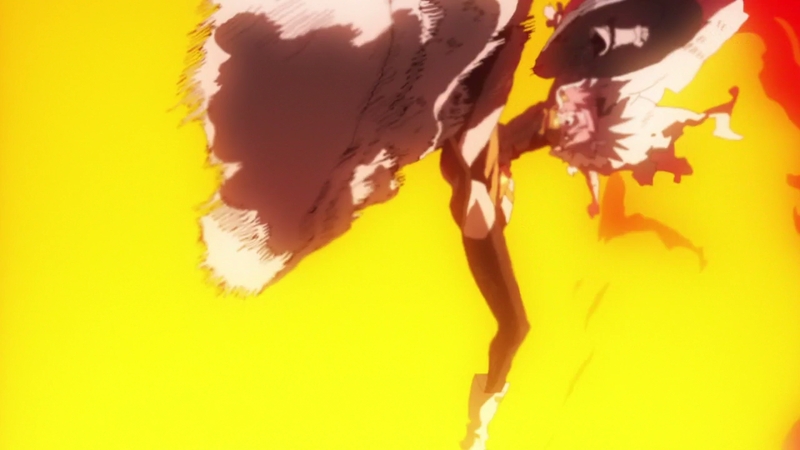 It’s been clear since the beginning that Apocrypha‘s main selling point is the action spectacle. There wouldn’t be an active effort made to bring in Shun Enokido and Takahito Sakazume to supervise it all if that weren’t the case. Hakuyu Go himself was aware of this, hence why his all-star team is composed of people who are more than capable of providing their own unique touch to each and every scene. 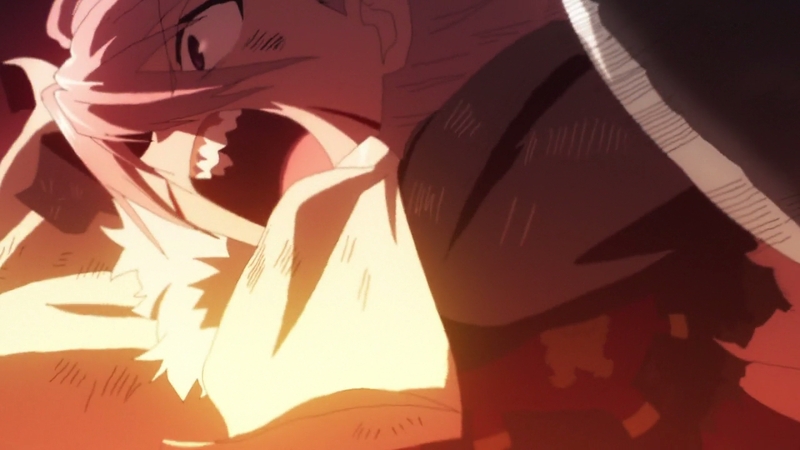 The beginning of Sieg and Karna’s seemingly world shattering collision shows Takumi Sunakohara and Kazuto Arai, two former Trigger animators who happen to be long time pals, working side by side. Both of them are FX specialists, but their work couldn’t be any different. Sunakohara’s catches the eye right off the bat as his his signature style is almost impossible to miss, feeling something like his personal take on kutsuna lightning – which he’s shown to be fond of – albeit much more scribbly. While the unfortunate curse of ghosting took its toll on his work, he was kind enough to upload it all to his tumblr for all to see. 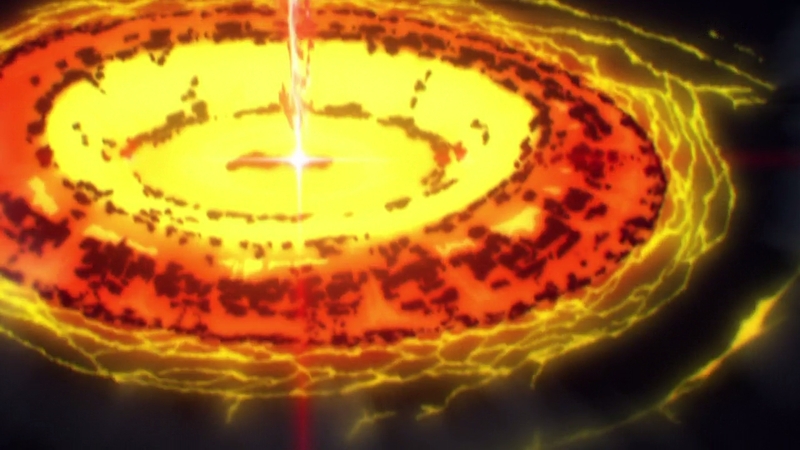 Arai, on the other hand, gets by on the impact and density embedded within each and every cut, particularly when it comes to his explosions that you can almost hear even when watching without audio. 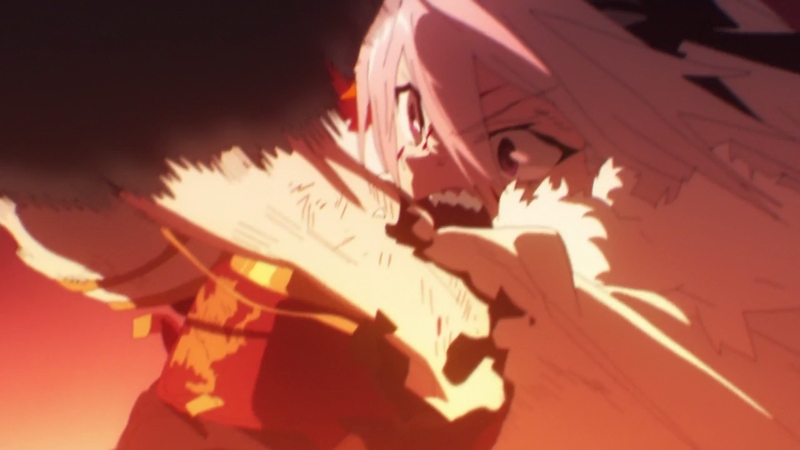 Sticking with the theme of Trigger, their young ace Kai Ikarashi also made an appearance, albeit under an alias, to deliver perhaps Astolfo’s most badass scene yet. Another person with clear personal tells that make their attempts to hide go in vain, such as the exaggerated posing and the drawings themselves. 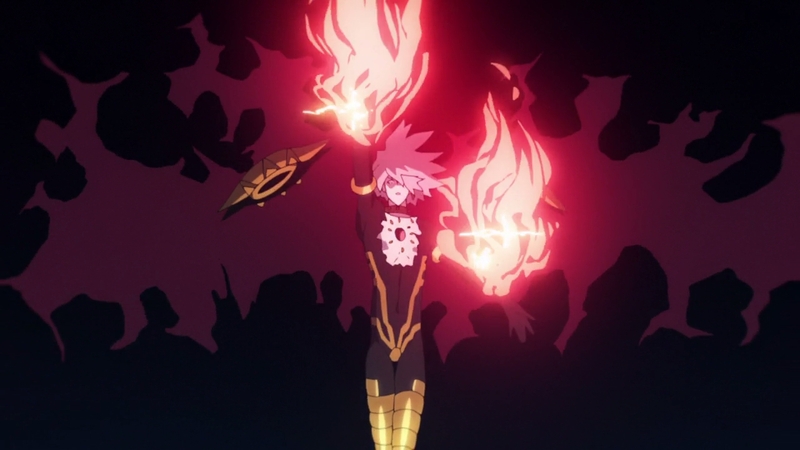 If there were an action moment that stood out for me most however, it would Karna’s decision to make use of Vasavi Shakti and the ensuing results. No effort had been spared in portraying just how obscenely overpowered he is in previous episodes, but this exact moment serves as a means to encompass that to its fullest extent. 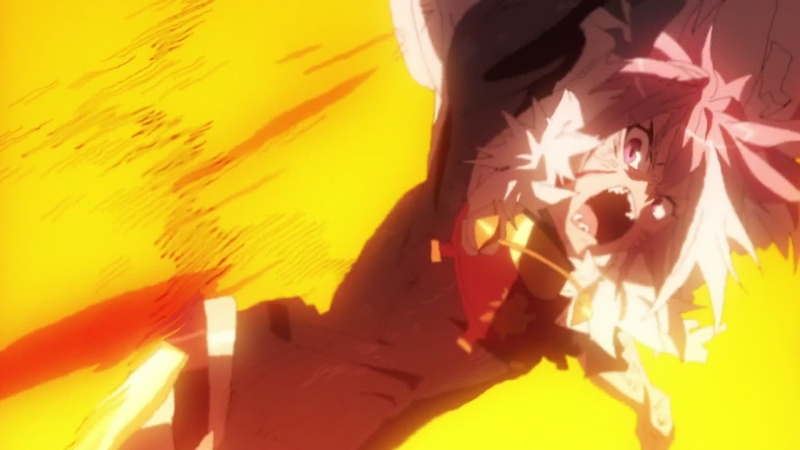 Industry veteran Toshiyuki Sato kicks it all off as Karna gives up his armour in order to activate the lance’s true form, the mere presence of which razes the entire vicinity. 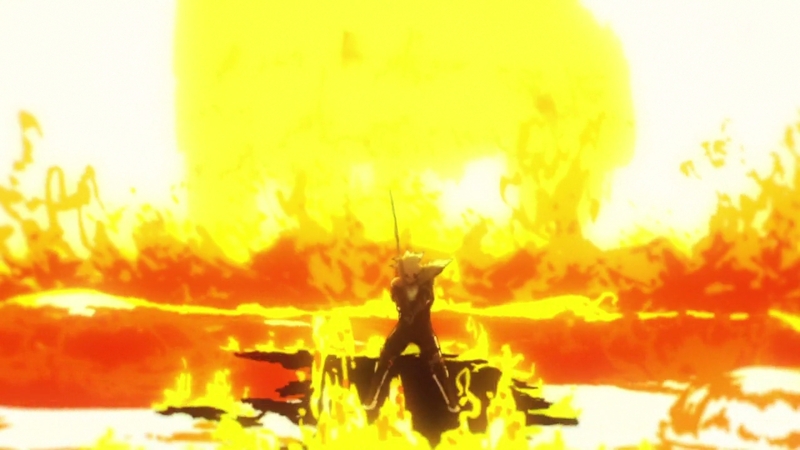 His rough lineart does wonders in characterising the intensity of the flames and the damage caused by them, and although his work ends by this point, they transition over to Karna himself. The authorship there becomes a bit muddy, since according to the animators themselves those sequences were the collaborative work of so many of them that they gave them the name of chimera animation. The experimentation did work out well however, so nothing but praise for my part! And speaking of praise, I’d like to direct some more towards Hakuyu Go due to the episode’s much more refined approach to the composite. It’s no secret that even the animators themselves were tired of seeing poor digital effects drowning their excellent work, but this episode is a very pleasant departure in that regard. With him in control, and after a slightly bitter behind the scenes war, the results were much cleaner, even sporting more attractive bold colors. A feat worthy of thanks! 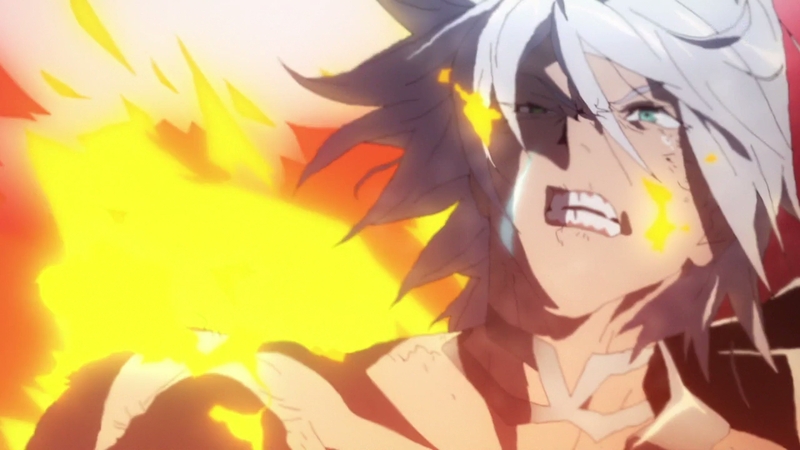 All that said, it’s also true that Apocrypha is no stranger to character acting, and this episode was no exception. If anything, that’s the aspect where it improved most, and not by coincidence. Webgen animators were once criticised as a group of artists capable of nothing but simple regurgitation of flashy action setpieces with no regard for much else. An argument that, while exaggerated, was still worth taking into consideration, but also one that’s simply untrue now. With time comes new generations, and the artists who have stormed onto the show represent that switch in priorities. This new wave of digital animators is first and foremost concerned with character expression, as you might quickly notice when watching their contributions to this episode. Atalanta stands at the forefront of this through her activation of Agrius Metamorphose, a choice which reflects the height of her grief and anger as it’s a Noble Phantasm she would never resort to even in dire circumstances. The transformation is depicted with care during each and every moment she’s on-screen, leaving no means to distinguish between action and character work by this stage. Her loss of reason and hatred towards Jeanne are made clear through the way in which she carries herself while engaging with the latter, giving way to a clash that’s as emotionally charged as it is fierce. 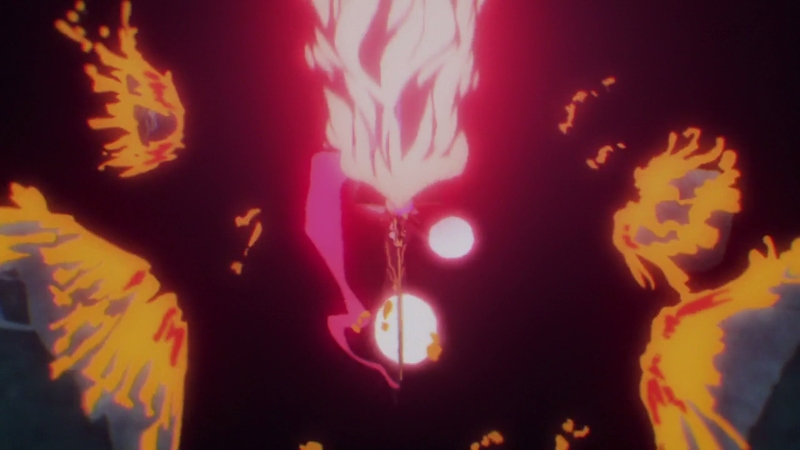 The same can be said of Nakaya Onsen‘s take on her ensuing battle with Achilles, but if anything, it’s the aftermath of it all which embodies the idea that this generation have evolved in ways those before them hadn’t; tact and delicacy that works in perfect harmony with Hayami Saori’s incredible voice acting to create a moment that feels genuinely powerful. Something of a personal note more than anything, but an interesting one nonetheless is the lack of rigid corrections to match the character designs. This isn’t too uncommon for these types of special episodes, but it’s something I adore nonetheless. The inherent value of consistency through corrections is one I fully recognise, especially when the risk of tonal dissonance looms near, but I can’t see the idea of expression through the art itself as anything other than a positive in the long run. That isn’t a request for every show to suddenly embrace it, as there’s a time and place for everything, but can you really deny that design diversity like this isn’t just plain interesting to witness? Before wrapping up this post, let’s go all the way back to the point about the significance of this episode for the industry as a whole. It’s been made clear already that this was an effort dominated by the work of youngsters, but one thing I’ve yet to touch upon is that Onsen himself confirmed on a stream recently that only 6 of the 27 people credited for key animation worked on paper. The digital wave has been taking over the industry more and more, but this is more proof than anything that we’re in the midst of witnessing a true generational change. That being said, the rise of digital artists isn’t going to result in the sudden displacement of older, established talent. The presence of Sato Toshiyuki in this episode is no coincidence; him and many others have a keen understanding of the younger generation’s sensibilities, and have been working together with them for a number of years now. They don’t exist within their own bubble, but rather have a healthy relationship with those that preceded them, allowing for the betterment of one another. It’s clear that Hakuyu Go is viewed as something of a leader figure among them as well, more so when those involved felt the need to proclaim to the whole world that this is Hakuyu Go, which is a positive in and of itself. The future’s bright if someone as capable at forming connections as him can serve as the bridge between generations. All said and done, this is a landmark achievement that few will forget anytime soon. One that’s not only roused those in the industry already to give it their absolute best, but also one that others believe will link to the future by inspiring a new crop of hopefuls to take the plunge. Keep your eyes peeled, because change is afoot. I was wondering how do you guys know whose friends with who in the anime industry since it feels a little weird to see two people who worked on a project or two together and be able to call upon each other when the need arises. Do you use their social media accounts to see their connections or is it something else? Regardless, I’m quite pleased to see digital animation blossoming as it is doing now and hope it will become an industry standard (not in the manner of forcing everyone to use it though). Social media’s definitely a way to tell when it comes to the younger people considering they have a tendency to funpost with and/or at each other pretty often. Sometimes you’ll get little tidbits from interviews, and even rare moments like Onsen’s stream the other week had Hakuyu Go and Miso as casual guests. Connections play a major part in the industry though, so just keeping an eye on credits and who works where gives you a peak into the relationships being built between people. We’re definitely not stalkers. I swear. What did Onsen stream? Where did he stream it? It was one of two personal streams he did on Nicovideo in relation to the episode, though unfortunately said streams weren’t archived. He talked about certain cuts (using the booru as a source, which was great! ), people responsible for them etc, and also had Hakuyu Go and Miso around for some extra banter. That’s pretty cool. I didn’t realize that sakugawiki had an actual list of “sakuga episodes”. 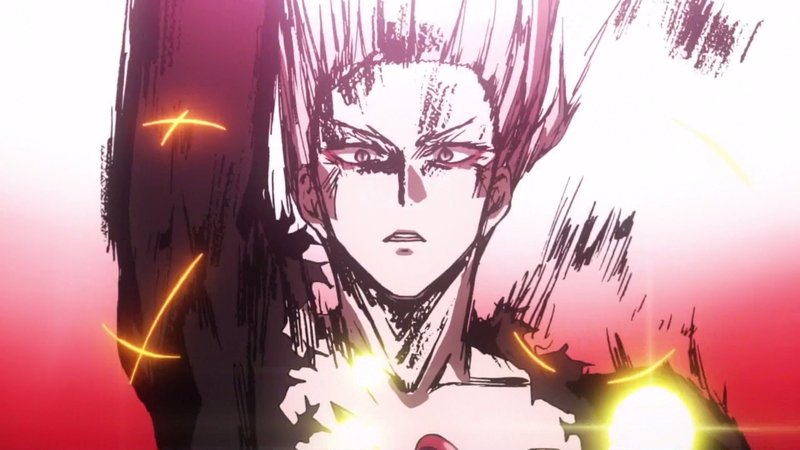 Is there a widely accepted definition for what is a “sakuga episode” or is the definition a little bit more fluid and subjective? It seems like there might be some disagreement as to what counts as one according to the comment at the top of the list. It definitely leans more towards ambiguity than anything. I can think of a number of episodes myself that merit being listed but aren’t anywhere to be found, and there’s a clear priority given to action focused stuff as well. Really belated but I love rereading this particular article from time to time. Anyway I have this on bd and want to say it looks utterly magnificent on a 75 incher. I also grabbed bd rips so I could watch with subs but raw straight bluray is still the winner. I hope you guys get to see apocrypha as it wss meant to be seen someday. Not just 22 but most episodes are a whole other experience without dimming and ghosting. And its thanks to your coverage that I could really appreciate that.